Fashions of Time: New Eras! Hello Friends, new and old! Welcome to my new blog. As I begin to dabble in other eras of costuming I decided to re-brand the name of the blog to something that can cover all periods of historic clothing. While my first and strongest love of time is the 18th century, I am looking to stitch into other eras as well. 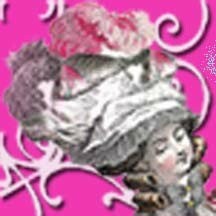 If this is your first time reading anything about me or have not read my older blog http://www.thebaroqueboutique.blogspot.com/ I have imported all my back posts for some history. Let the new postings begin!